When your small business has progressed to a point where you are ready to hire employees, it is essential to think about the workplace culture, environment, and overall harmony that those employees will work in. After all, your staff will spend around 40 hours per week in the office, and there is an onus on you as a business owner to ensure that their working experience is as pleasant as it can be. Over recent years, what constitutes a good working environment has changed somewhat. 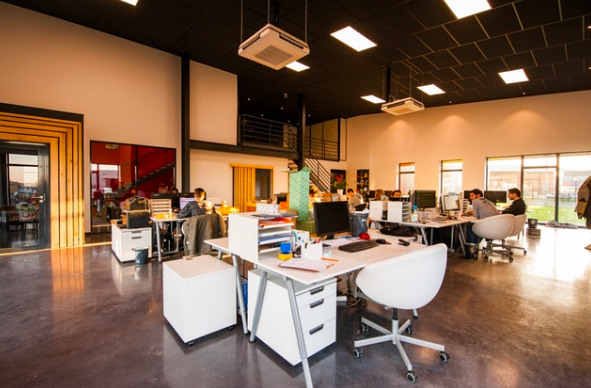 Once, a business would be considered to be doing well if they provided a pleasant office layout, invested in comfortable chairs, and provided necessary on-site facilities such as a kitchen. However, businesses are now expected to expand their remit, with unconventional workplaces such as Google leading the way as the new normal. However, whether you believe ping pong tables in the office are essential or not, there is one critical element of a good workplace that has remained consistent throughout the years: the need for workplace harmony. Workplace harmony is a catch-all concept that describes how well a workplace functions, and how happy the people working there are. It is thought that with a harmonious workplace, productivity is higher, as is overall staff happiness. What constitutes good workplace harmony? Interestingly enough, what makes a workplace harmonious is rather difficult to pinpoint, and perhaps the single biggest factor is, simply, the absence of causes of disharmony. Essentially, by minimising the factors that can cause bad workplace harmony, you naturally create good workplace harmony as a result. What are the disharmony factors you need to eliminate? Disagreements between colleagues are among the biggest influences on workplace disharmony, and it can proceed to the point that it becomes bullying or even harassment. This is a serious issue that needs addressing head-on, as the last thing that you, or your employees, need are to experience disputes severe enough to require assistance from an employment law attorney to resolve. If you identify issues developing between two or more employees, then separate them as far as is possible, and potentially explore mediation options that can help get them back on the same page. A lack of empowerment can also influence workplace harmony; employees need to feel that their contribution is important, that their work is valued, and that they have the ability to make their own decisions. There are some great tips for empowering your staff here, all of which could greatly benefit the overall workplace harmony of your business. A poorly-designed office space can also be damaging to harmony, especially if the layout of the office prevents employees from communicating with one another effectively. It’s well worth asking your staff how they feel about the overall office design; if they’re unhappy, then work with them to improve it. With a harmonious working environment for your staff assured, you should be all the better equipped to ensure a high level of achievement from that staff, which should greatly contribute to your chances of sustaining a successful business. What Does It Take To Plan A New Business Well? Have you heard of PWA (Progressive Web Apps)?